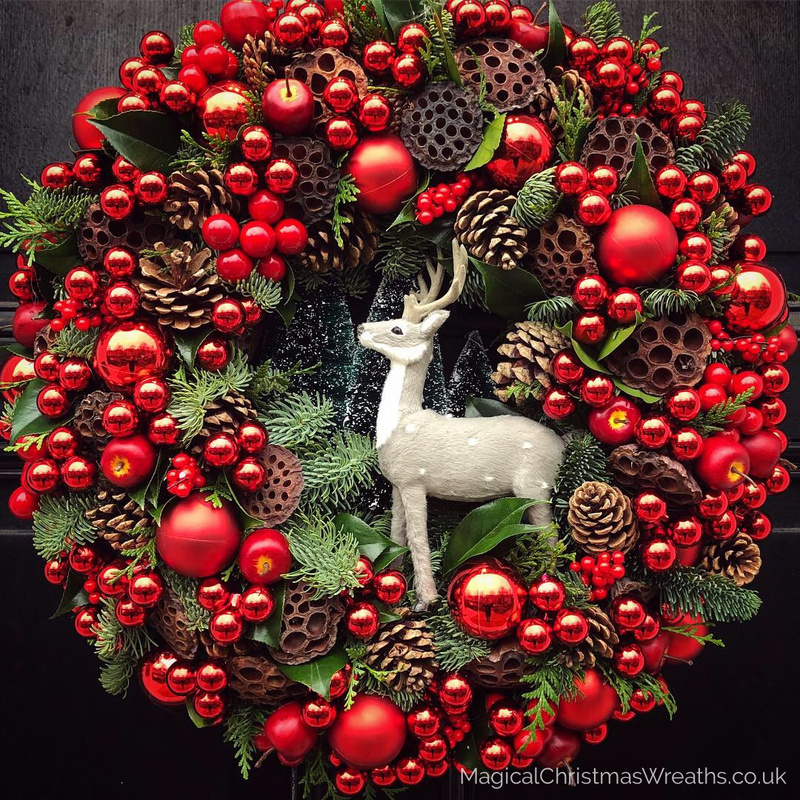 The 1st of December officially marks the beginning of the Christmas countdown and we are busily making the most beautiful wreaths and garlands that will adorn discerning doors and houses up and down the country. Our collection features a wonderful selection of designs to choose from, or we can custom design wreaths and garlands especially for you. Merry Christmas! Oh wow! 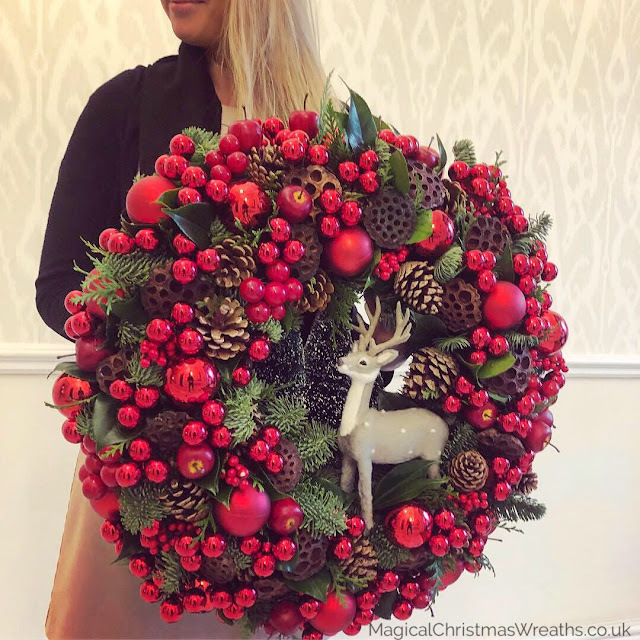 This is such an amazing wreath Paul! I now have several deer traipsing through my garden at all hours of the day and night. I would love to hang this on the front door. Again, have to tell you how much I miss your great posts on English garden visits. . . . . . and you yourself! Holiday hugs - Mary in North Carolina. Hi Mary, so lovely to hear from you! Hope alls going well. I love the idea of watching the deer visiting the garden. I know they're partial to nibbling shrubs but it's so worthwhile to share your space with these beautiful creatures. I may pop back in this year from some impromptu garden visit posts:) Lots of love. Welcome back Paul. You and your elves must be so busy creating these spectacular Christmas wreaths. Love your story of the deer visiting the garden. Merrymaking in your studio!